The Music Modernization Act has been signed into law in a high-profile event at the White House. H.R. 1551, known formally as the “Orrin G. Hatch-Bob Goodlatte Music Modernization Act”, was written to update music copyright law for the digital era. The legislation was unanimously passed by both the House and the Senate. During the signing ceremony, President Trump said that the MMA was a milestone that would “close loopholes” in copyright law and help music creators get paid. 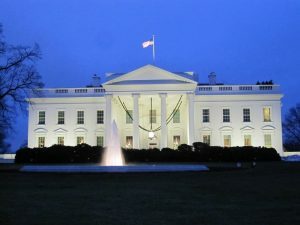 Several notable figures from the music industry were at the White House for the signing, including country singer John Rich, Jeff “Skunk” Baxter of the Doobie Brothers’, and Kid Rock. The new legislation targets several areas of interest to the music industry. One area of the legislation, called the Classics Act, ensures that songwriters and artists receive royalties on songs recorded before 1972. The law establishes a new, independent entity to pay rights-holders in a more streamlined fashion. It also creates a publicly accessible database to make it easier to discern who should be paid for a particular song. Allocating royalties for music producers was another area defined by the legislation. The Allocation for Music Producers (AMP) Act provides for increased compensation for producers and engineers when their music is used on online and satellite radio. The new act also updates licensing and royalty rules for streaming services.